Odisha is the religious city located in the eastern part of India. It consists of many districts. Also known for its tribal culture it has got great road connectivity. 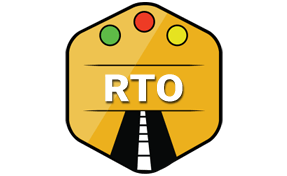 In order to ensure Road safety and to manage vehicles Odisha RTO has been founded. It operates as per the instructions of Transport commissioner. One of the major motives of its foundation is to implement Motor Act of 1988. Besides that, it performs all the activities required by state RTO. How Odisha RTO Issues No Objection Certificate (NOC)? Whenever our Vehicle is shifted to another state, we need NOC copy from RTO. Incase we plan to shift to any of the districts of Odisha than we must take no objection certification from its RTO. Every city has got different RTO offices. We may not require to take it incase we are planning to shift for less than 3 months. However, beyond that its must to take NOC. If we don't have NOC after 3 months than we are not permitted to drive. We can easily get the No Objection Certificate after submission of the required documents. Details required by Odisha RTO in order to grant us NOC are as follows. Once all these documents are submitted than they are thoroughly verified by Odisha RTO. Besides documents Vehicle is also checked for any criminal history. After approval of all the details, we can get NOC at the earliest. Odisha State ensures all the RTO within its districts are operating smoothly. All these RTO are quiet efficient and are authorized to provide the following documents and services. Transport Commissioner Office, Rajaswa Bhawan, Cuttack, Odisha - 53002.